Hi everyone! 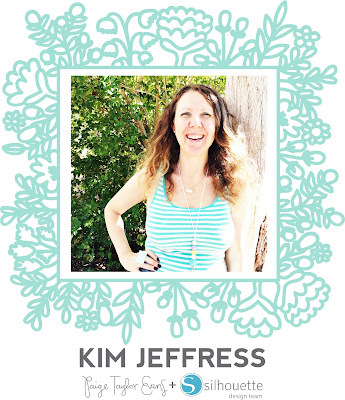 It's Kim Jeffress here today with a new layout! 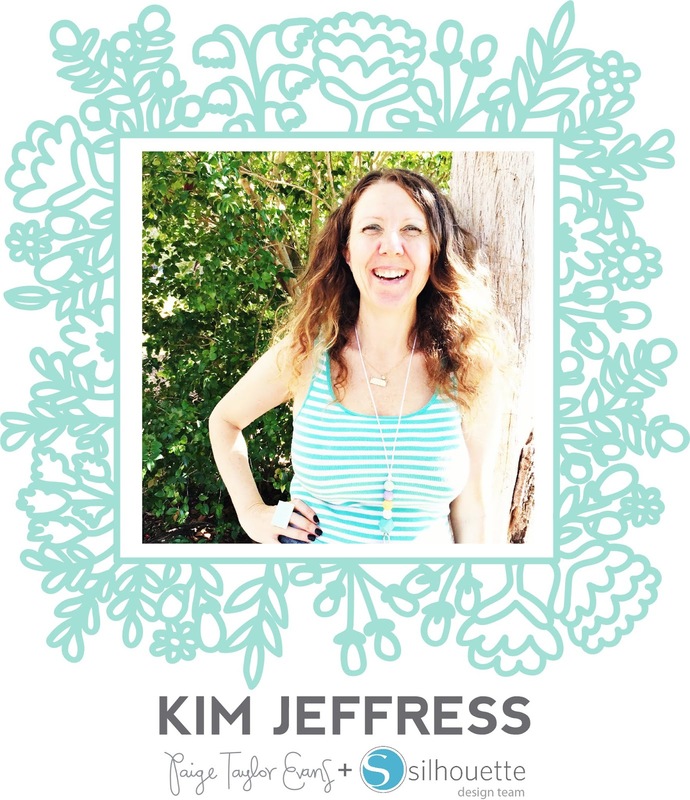 I love telling authentic stories, stories of my family, stories that record the big and small moments of our lives. For me that is my passion in my Memory Keeping. I was so excited to see the new Kite cut file from Paige and that it would perfectly accent a recent visit to a kite festival here in Brisbane. I decided to cut it full size so it would make a bold statement on my page. 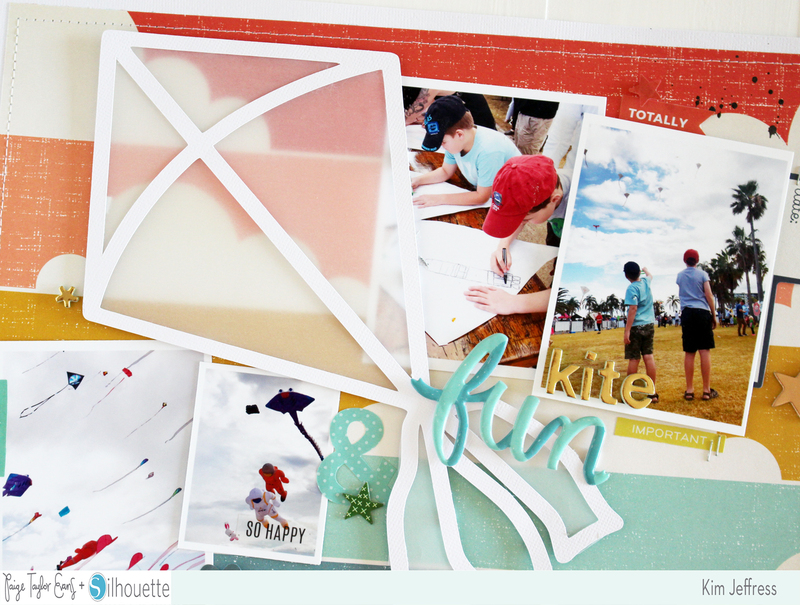 I cut my kite cut file on white cardstock using my Silhouette Cameo and then backed each section with clear vellum. 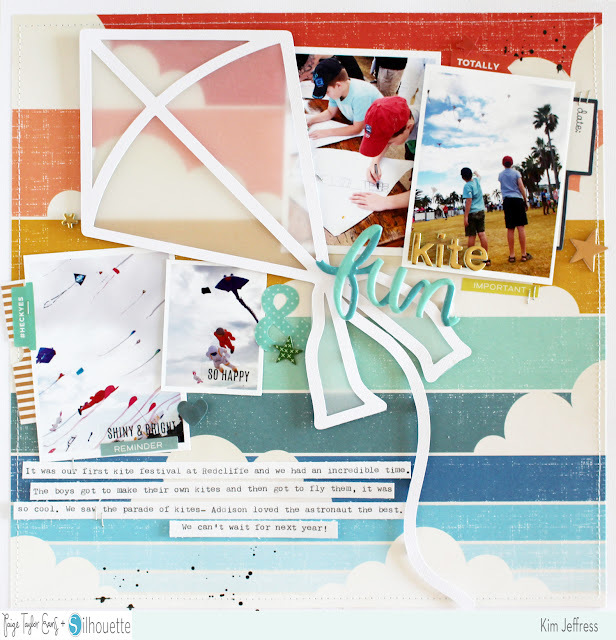 I wanted the background to still show through but create a translucent feel to the kite. I then adhered the kite to my background patterned paper - that perfect cloud paper from the Pink Paislee Wild Wild collection with some pop dots. I then tucked my photos in and around the kite. Overlapping the photos adds some subtle texture and dimension which is pleasing to the eye. I added my title using that “fun” epoxy sticker from Crate Paper, adhering it to the tail of the kite. I added some elements from the Turn the Page Journaling Spots as accents, poking out from the edges of my photos. Finally, I added my all important journaling to the bottom of my layout. I love that I now have this family memory safely tucked away in my scrapbooks! Makes me happy! This is gorgeous! 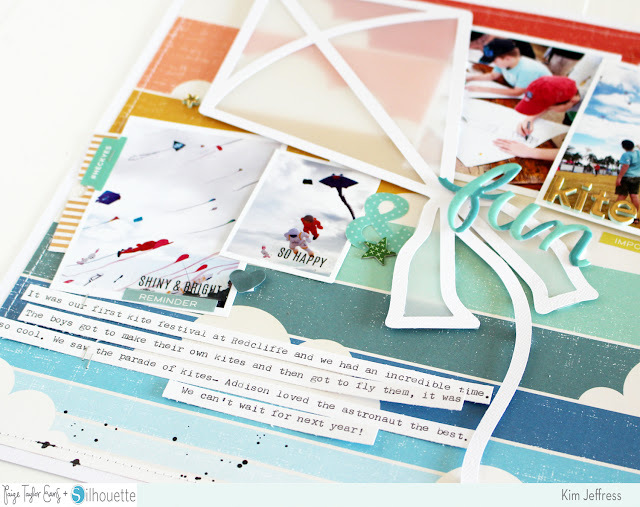 LOVING the colors and that kite!!!!! !